Swindon firms supporting fair and ethical business practices have just over three weeks to enter the coveted South West Fairtrade Business Awards. The unique awards – now in their fourth year – champion firms that put ethical responsibilities at the heart of their business. 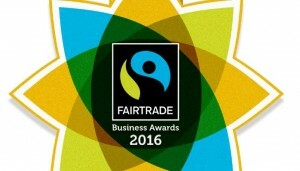 Last year 76 businesses from across the region achieved bronze, silver and gold awards in recognition of their commitment to using and promoting Fairtrade. Past winners have ranged from shops, cafes and hotels to independent financial advisers and universities. The deadline for entries this year is January 30. The seven categories are: Best Fairtrade Office, Best Fairtrade Retailer –single product, Best Fairtrade Retailer – multiple products, Best Fairtrade Café or Restaurant, Best Fairtrade Accommodation or Conference Centre, sponsored by Sawdays, Best Fairtrade University or College, and Best Fairtrade Advocate Award, sponsored by SWTUC. Other winners last year were Lee Abbey (Best Fairtrade Accommodation or Conference Centre), Café Create (Best Fairtrade Café or Restaurant), Bristol law firm Lyons Davidson (Best Fairtrade Office), The Tiny Marmalade Company (Best Fairtrade Retailer – single product), Kerala Crafts and The Better Food Company (joint winners Best Fairtrade Retailer – multiple product), University of Bristol (Best Fairtrade University of College) and Elaine Ashley, Bristol City Council (Best Fairtrade Advocate Award). This year’s awards ceremony will be hosted by ethical beauty and wellbeing guru Liz Earle MBE, who has launched a range of Fairtrade Gold jewellery in association with Cred Jewellery. The Fairtrade Brunch and business-to-business networking at the ceremony will be sponsored by Shared Interest Foundation. Swindon Business News’ sister title Bristol Business News will again be media partner of these prestigious awards.